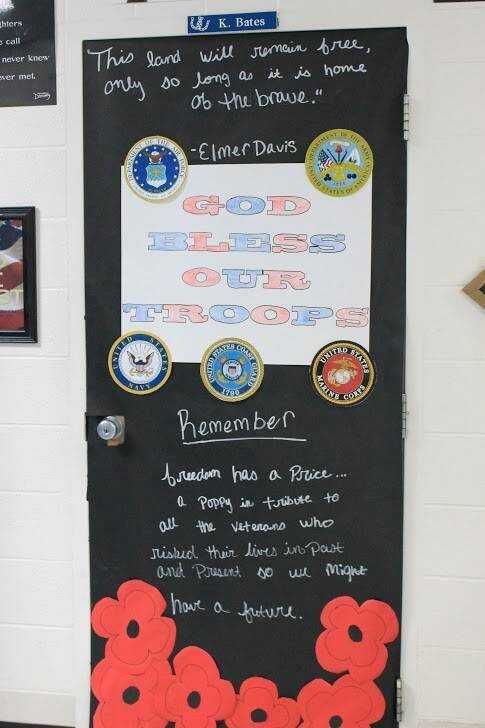 Students worked recently on decorating their classroom doors at Bernie, and on Veterans Day Nov. 11, they invited area veterans to come tour the building and honored them for their military service. Pictured are all of the doors at the school. One door was selected as the winning entry, and it was the classroom door of Kara Miller depicting Captain Ameria. In second place was Pam Foster's door with the theme, "Land of the Free Because of the Brave." Coming in third was the door of Kristy Bates featuring poppies.